Perched high up on one of Valletta’s gigantic medieval bastions overlooking the Grand Harbour and halfway through a glass of kinnie, the local non-alcoholic drink made from tart oranges and savoury herbs, here I was thinking of Sam Cremona. 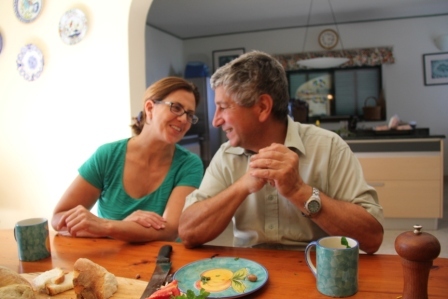 I’d met Sam earlier that day at his olive farm at Wardija near Mdina and it got me thinking. Here was a man who was a successful diamond merchant in Antwerp but then decided to give it all up to make organic olive oil back home on Malta. A few years on and he has no regrets, just a more satisfying life working the land with his wife Matty a well known chef and author and their black lab Oliver. 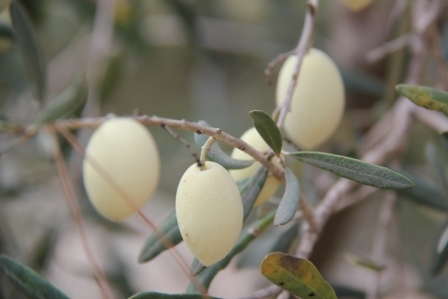 Sam has become quite the legend on Malta with his cultivation of the white olive. 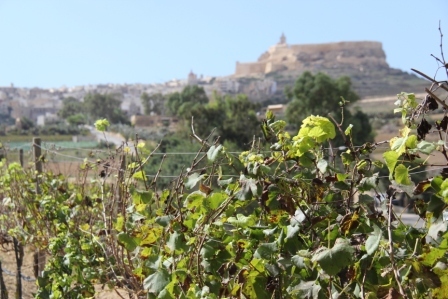 “Beautifully tasty” he tells me “but not enough to produce olive oil though.” Sam instead presses oil from his own groves and from local farmers, intent on taking Maltese olive oil up there with Greece, Spain and Italy. You can visit Sam and Matty yourself if you give them a call first at +356 79582294. You’ll find plenty of colourful and proud island characters here, not to mention the stunning landscapes, beaches and a bulging portfolio of historical sites, so here is my guide to get the very best out of a short 72 hour visit to Malta and Gozo. Malta is the largest island and the cultural, commercial and administrative heart though it’s small enough to explore easily, taking only 45 minutes to drive from one side to the other. So imagine this: you could be taking a stroll on the beach in the morning, having lunch in a small fishing village at noon, wandering the temples in the afternoon and then enjoying St. Julians’ lively nightlife in the evening. You’ve just transcended thousands of years in a day! Thanks to the Knights of St John, who lived here for 268 years, Malta’s fortified capital is a living example of 16th century Baroque architecture. Disraeli called it “a city built by gentlemen for gentlemen” although it was originally intended to be a refuge for injured soldiers and pilgrims during the Crusades. In fact, a visit to the stunning Sacra Infermeria is a must see, with its 130 bed ward where patients had their own toilet and ventilation facilities. It was the Knights’ own private hospital and in the 1600’s was considered to be the finest medical facility in Europe. It’s now part of the Mediterranean Conference Centre adjacent to Fort St Elmo and overlooking the Grand Harbour and visits can be arranged. To get a real feel of Malta’s 7,000 years of history, make a point of visiting The Malta Experience for an audio visual treat on the island’s past. The jewel in Valletta’s crown however is St.John’s Co-Cathedral, the Knights’ baroque masterpiece. The outside belies the stunning interior, so don’t waste any time and just get inside and marvel at the frescoes treasure filled chapels. Valletta’s twisted narrow and steep streets have a touch of ancient Jerusalem about them in my mind, not surprising when you consider the Knights’ Middle Eastern connections. The huge bastions rising up from the Med remind you of just how impenetrable this capital was meant to be. 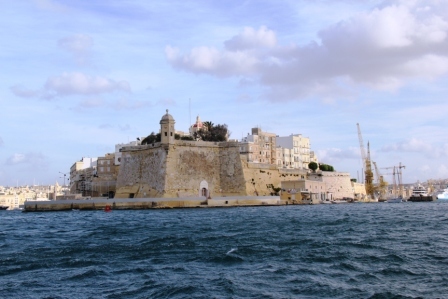 Up in the Upper Barrakka Gardens, where the Knights of St. John used to wander, ponder and star gaze, you can take in the magnificent views across the Grand Harbour. Then take yourself down to the waterfront (there is a brand new lift taking you down from the Upper Barrakka Gardens but you have to pay a small fee if you want to ride back up!) and wander along the 250 year old paths. The cruise ships come in here and the nest of restaurants along the water’s edge are all excellent. You can even take a cheap water taxi across to neighbouring Burgo-Vittoriosa and sample the harbour close up. Have lunch or dinner at the Ta Nenu Bakery hidden away on the back streets of Valletta. They use 100 year old ovens to make beautiful crusty Maltese bread, some fresh Maltese style pizzas and a host of excellent traditional dishes. if you fancy sampling some of the nightlife then head for St. Julian’s which is alive until the early hours. You can experience a top class dinner if you want to splash out at Sciacca an excellent fish bistro right next the Intercontinental Hotel. No visit to Malta would be complete without visiting fabulously ancient Mdina, the walled Silent City. Malta’s former capital sits in the centre of the island, and within its walls just across the little bridge, time has literally stood still. 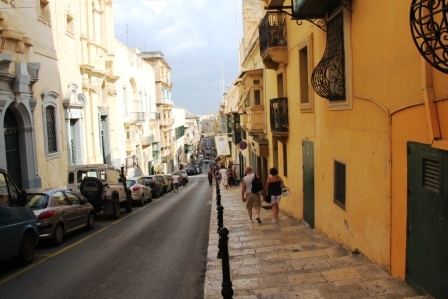 This time capsule of a city was and still is to this day, the home of Malta’s nobility, many of them direct descendants from Norman and Sicilian lords who made their homes here. Its history goes back over 4,000 years though and as legend has it, the apostle St Paul lived here following his shipwreck off the coast. With traffic severely limited, you can spend time wandering the narrow winding streets without interruption and marvel at the ornate palaces, many of them still private homes. Make a stop at the 11th century Mdina Cathedral and then The Bastion for fabulous views of the islands. Make sure you also sample some of the elegant local hand blown glassware from the retailers in the city centre. As evening draws in, Mdina’s iron lamps cast many a golden glow across the cobbled streets of this ancient city, making your memories even more magical. Stop for a home cooked cake using owner Louisette’s own recipes at her Fontanella Tea Room and enjoy a fabulous view while you gorge on her signature chocolate cake. 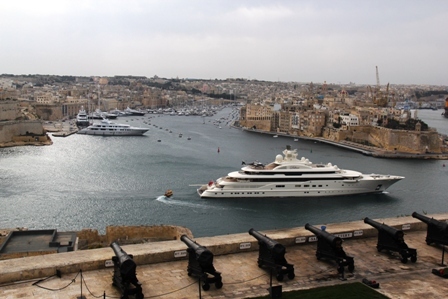 The Three Cities – Vittoriosa, Senglea and Cospicua are a set of three harbour towns offering a glimpse of authentic Maltese way of life, especially as they were the home to almost every one of Malta’s previous occupiers. 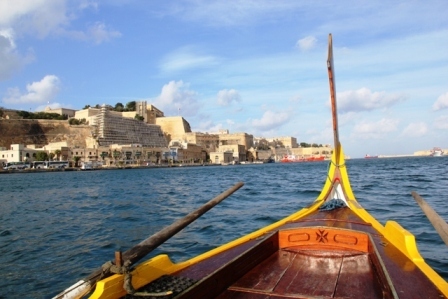 Taking a water taxi from the Valletta waterfront for a few euro is the quickest way across and then stroll along their quaint narrow streets and in particular, the newly restored Vittoriosa Waterfont and marina. In contrast to its big sister’s beating heart, Gozo’s inhabitants have their own distinct character and identity, and noticeably different lifestyles, accents and dialect. Just a short ferry ride from Malta, this tranquilly green island is filled with long winding walks, secluded lagoons and caves, over twenty churches and many traditional villages, and it’s also home to one of the most important archaeological sites in the world – the Ggantija Temples. Protected by UNESCO, they are the oldest freestanding structures in the world, predating the Pyramids of Egypt by some 1000 years. Dwejra boasts one of the island’s most beautiful coastlines and in particular, Fungus Rock and the stunning Azure Window are well worth a gaze or two. The area is perfect for snorkelling and diving, and a walk across the cliffs here will be rewarded with some breathtaking views. Victoria (also known as Rabat) is Gozo’s capital. It’s a great place to people watch the locals, as they go about their daily life, especially when the main market square, It-Tokk, comes to life. 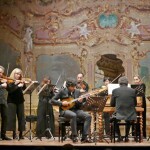 It surprisingly has a popular opera house called Teatru ta’ l-Opra Aurora which offers many productions including Carmen and Aida. If you’re lucky enough to be in town at Festa time, you just might see a bit of horseracing through the town’s streets too. While you around here make a point of getting up the the Citadel, the centre of island activity since Neolithic times. You’ll get a fantastic view of the island and stop for lunch at Ta Rikkardu to get a taste of homemade local dishes. 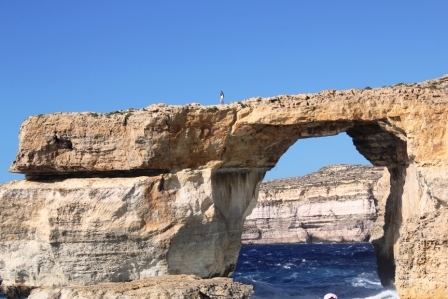 Naturally, Gozo has plenty of outdoor attractions including walking, cycling, horse riding and sailing, but more recently, there are some outstanding diving and snorkelling sites to be enjoyed too. Take a boat trip from Zurrieq to the dramatic Blue Grotto caves. Eat fresh seafood just off the boats at the cafes around the quay in Marsascala. Traditional Maltese food is the mixture of North African, Mediterranean and English flavours, with a heavy Italian and Arabic influences. Aljotta – garlic based fish soup. Fenek – rabbit the national dish. 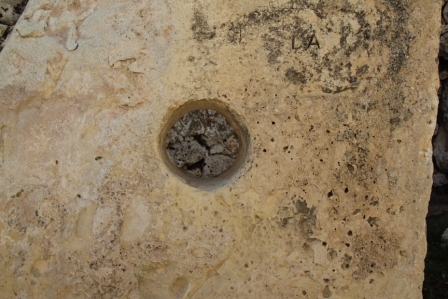 Gbejna – found on Gozo, it’s goats milk cheese with peppercorns. Delicious. Bragoli – a mix of meat, bacon, eggs, onions and breadcrumbs wrapped in thin slices of steak. So by now I’d finished that glass of kinnie but decided to get myself another pastizzi. 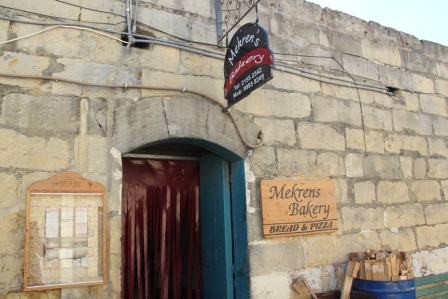 Well, why not, they are so good after all..
Mekren’s Bakery on Gozo for some of the freshest Maltese bread you will ever eat! 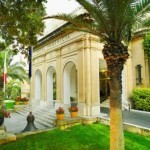 The Phoenicia Hotel in Valletta. Turn of the century luxury right by Valletta’s City gate.